Sodexo, Nichols College’s dining services provider, will again hold its annual food/can drive, this time for the Blessed Backpack Brigade, which lost all of its supplies in the August tornado that ripped through parts of Dudley and Webster. 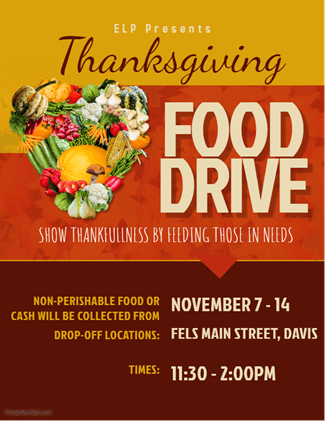 Non-perishable food and cans will be collected Nov. 5-13 at Lombard Dining Hall. A separate fundraiser (Sodexo, Emerging Leaders Program, and Men of Distinction) is collecting food and monetary donations through Nov. 14. This year marks the 15th anniversary that Sodexo at Nichols College has donated to the local communities through its food/can drive. From Nov. 5 to Nov. 13, please bring to Lombard Dining Hall five non-perishable foods and/or cans each day, and lunch will be on Sodexo. Needed are: stuffing, bags of potatoes, canned vegetables, turkey gravy, etc. 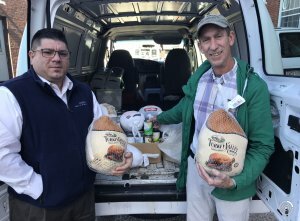 Last year, the Nichols campus community donated over 425 pounds of non-perishable food and cans to the Webster-Dudley Food Share, as well as full turkey dinners to 10 families in need. Campus Life, Events, Faculty, Staff, Students community, community relations, community service, dining, donations, food, food pantries, Food Share, hunger, Lombard Dining Hall, Sodexo, Webster-Dudley Food Share. permalink.